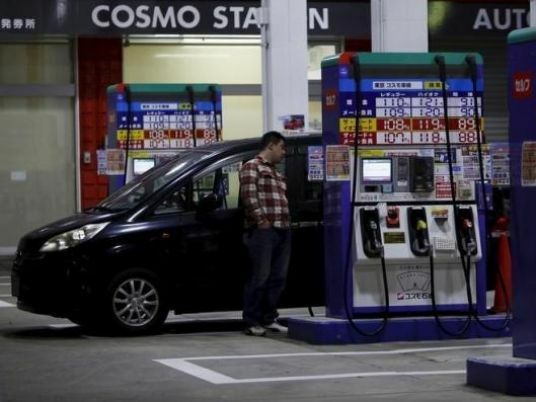 The International Monetary Fund is encouraged by Egypt’s efforts to remove fuel subsidies within three years and push inflation down to single digits, IMF Mission Chief for Egypt Chris Jarvis said on Wednesday. Egypt last year committed to an ambitious economic reform program that includes lifting subsidies, raising taxes, and loosening capital controls as part of a three-year $12 billion IMF loan. Jarvis affirmed on Wednesday that Egypt is expected to receive the second loan instalment of $1.25 billion within the coming few weeks and after the IMF’s executive board meets. Last week the IMF concluded its first review of Egypt’s economic reform program, signing off on a staff level agreement to disburse its next payment and praising the country’s efforts so far. Speaking on Egyptian television channel CBC, Jarvis said the Fund was encouraged by a government plan to remove subsidies on fuel products within three years, but said that the IMF would leave the timing of individual price hikes to Egypt. The Ministry of Petroleum has said in recent weeks it has not determined when it would next raise prices on fuel or by how much. Jarvis said Egypt’s goal is to push inflation down to single digits, which he said is possible within three to four years. Inflation has soared since Egypt floated its currency in November, with year-on-year headline inflation at 31.5 percent in April.